We’ve all heard the saying “Two heads are better than one”- At Adelphia Chiropractic Health, we’ve taken that to heart. With two chiropractors on staff, you get the benefit of extra brainpower. Especially with difficult cases. 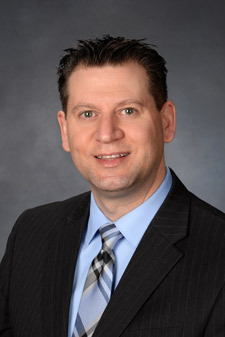 Dr. Anastasios Hatzakos began his pre-chiropractic education at Indiana University of Pennsylvania and Drexel University where he studied science courses such as inorganic chemistry, organic chemistry, biology, physiology and gross anatomy, where he graduated with his Bachelor’s Degree in Natural Science. After completing his study there, he was accepted at New York Chiropractic College (NYCC) in Seneca Falls, New York. During his four years at NYCC, courses included biochemistry, a major emphasis on anatomy and human physiology, X-ray, diagnosis, chiropractic adjusting techniques and patient care in Levittown Long Island Public Clinic. After graduating in December of 1994 Dr. Anastasios Hatzakos became an associate doctor for Montage Chiropractic in Old Forge, PA to gain more business and chiropractic experience. Then in March of 1996 he opened up his first practice in the Easton area along with his younger brother Dr. George Hatzakos. 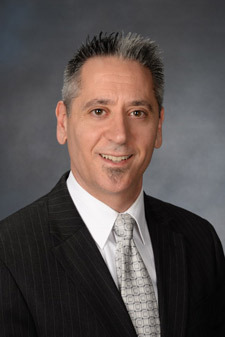 Dr. Anastasios Hatzakos, D.C., CSDE, CRA is certified in the following techniques: Gonstead Advanced Technique, Contact Reflex Analysis, Electrodiagnosis (which includes NCV and Needle EMG testing), Physiotherapy and M.U.A. (Manipulation Under Anesthesia). Furthermore, Dr. Anastasios Hatzakos is certified in Spinal Disability Evaluation and Rating & Impairments. He is also proficient in N.R.T. (Nutritional Response Testing). He is a member of the Pennsylvania Chiropractic Association and International Chiropractic Association. Dr. Hatzakos currently resides in Forks Township PA and has been practicing in the Easton (Forks Township) area since 1996. He chose this area for its picturesque scenery and its deep heritage. He enjoys exercising, working out, traveling, art collecting, golfing, biking and educational reading. He also enjoys spending quality time with friends and family and especially with his wonderful wife just relaxing, watching movies or dining out at their favorite restaurant. Dr. Hatzakos does try to involve himself and his family in charitable events like raising money for the poor and unfortunate. His practice raised funds and clothing for charities like Coats for Kids, Autism Speaks, Salvation Army, Project Hope of Easton and his local church, just to name a few. Dr. George Hatzakos began his pre-chiropractic education at Indiana University of Pennsylvania where he studied the basic sciences such as general chemistry, organic chemistry, biochemistry, physics, physiology and anatomy courses. He also received his bachelors degree at State University of New York Excelsior College. After completing his studies there, he was accepted at New York Chiropractic College, (NYCC) in Seneca Falls, New York. During his four years at NYCC, courses included biochemistry, a major emphasis on anatomy and human physiology, X-ray, diagnosis, chiropractic adjusting techniques and patient care in the Buffalo Cheektowaga Clinic. 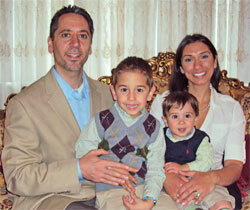 After graduating in 1995 Dr. George Hatzakos returned to the Easton area to establish his practice with his brother. “While I was a student” says Dr. Hatzakos,”I conducted several chiropractic symposiums, as well as assisted in educating my fellow students”. Dr. George Hatzakos is certified in the Gonstead Advanced Technique (200 hours), as well as Physiotherapy and M.U.A. (Manipulation Under Anesthesia). He is also certified in Spinal Disability Evaluation and Rating & Impairments. He is a member of the Pennsylvania Chiropractic Association and American Chiropractic Association. He has been practicing in the Easton (Forks Township) area since 1996 and currently resides in Forks Township Pennsylvania. 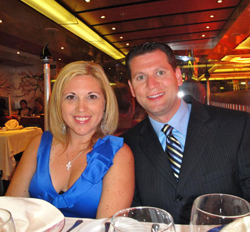 Dr. George Hatzakos is married to his lovely wife Evonne and they have two children, Matthew and Lukas. At Adelphia Chiropractic Health, we get to the root of the problem! Contact us today to get started with care.